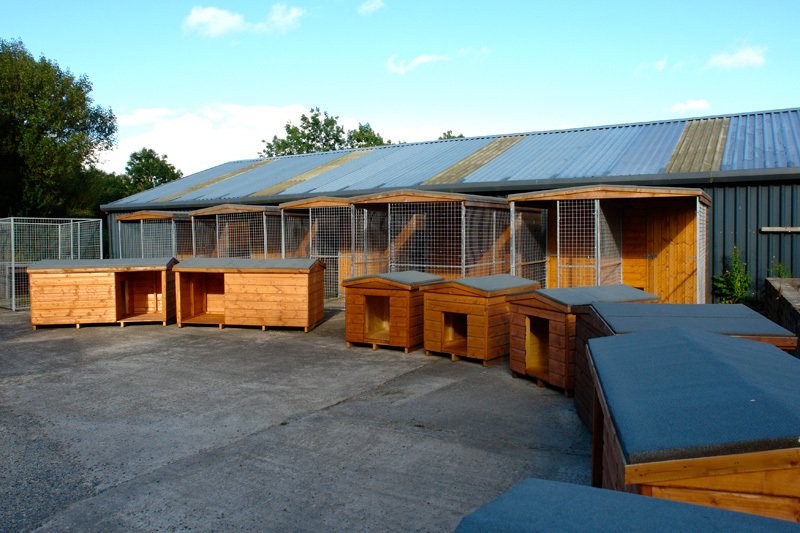 As dog lovers ourselves, we are knowledgeable about the needs of dogs and aim to cater to all dog sizes and breeds. 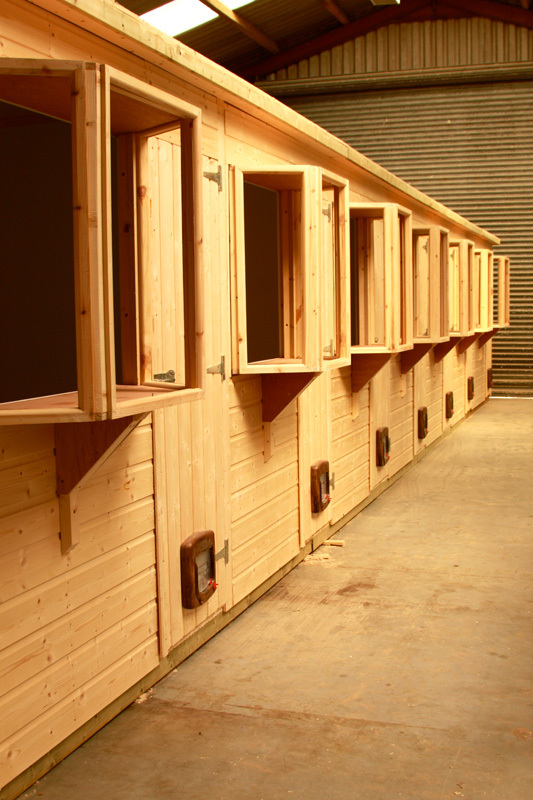 All of our dog kennels are made from the highest-quality tongue and groove scandinavian timber and finished in oil or water-based paint. 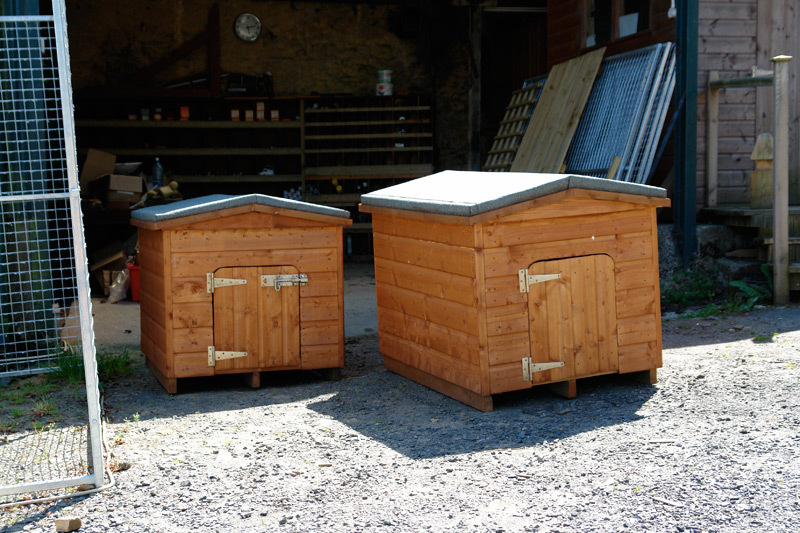 What's more, to ensure a robust, cosy, and water-tight kennel for your dog, we use premium-grade timber and high-quality rubberised felt roofing. 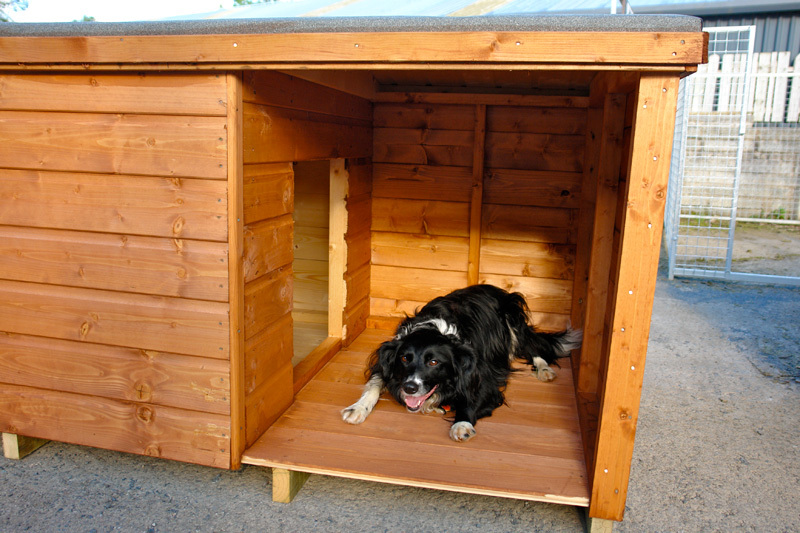 We also offer a range of larger dog runs and pens which can be made to suit the individual dog. 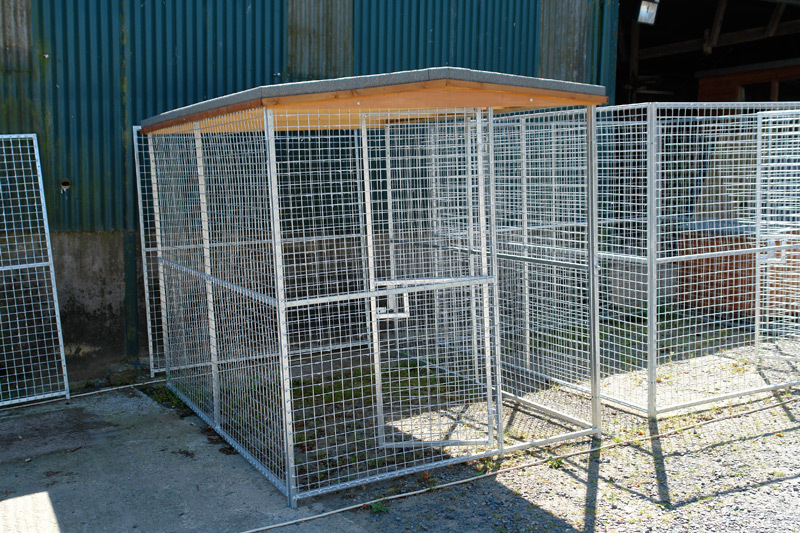 Our dog runs are made from hot-galvanised mesh welded onto box iron and can be made with or without a sheltering roof. 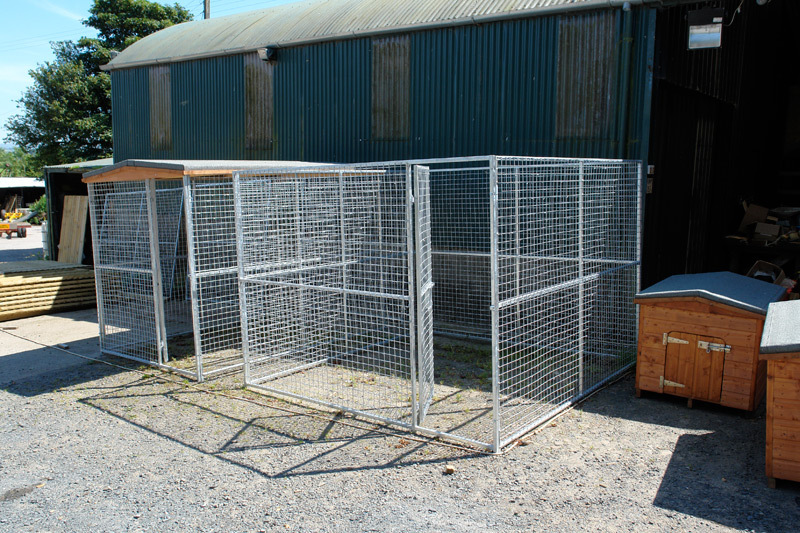 We have over 20 years of experience producing dog kennels, runs and pens for customers across Northern Ireland and take great pride in the quality of our products. 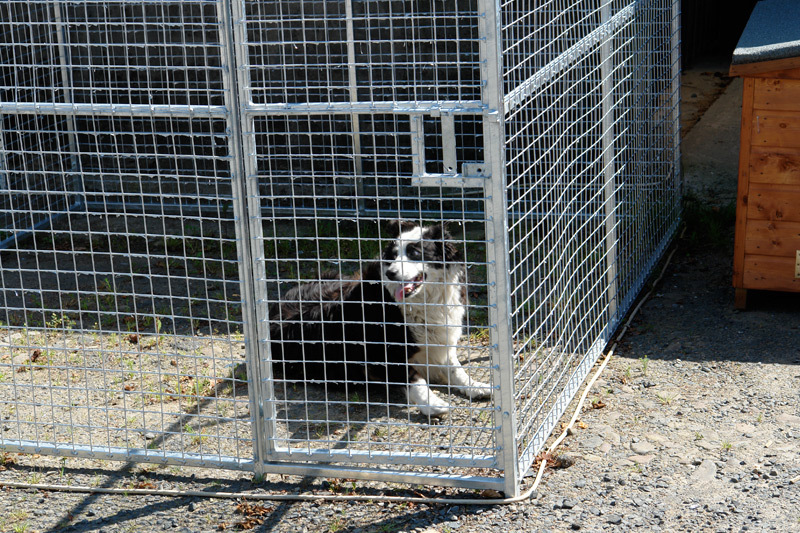 View our dog kennels below or get in touch to find out more. 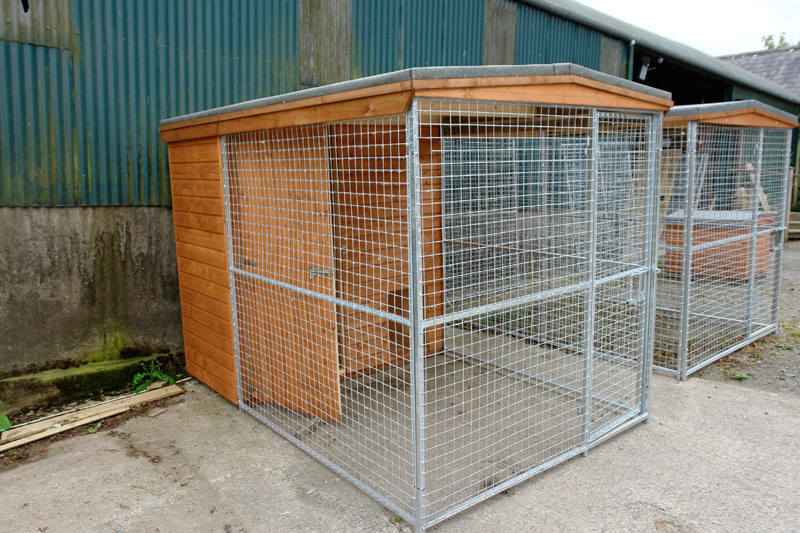 We have a wide range of dog kennels on display at our premises. Please feel free to drop by to see what's on offer. 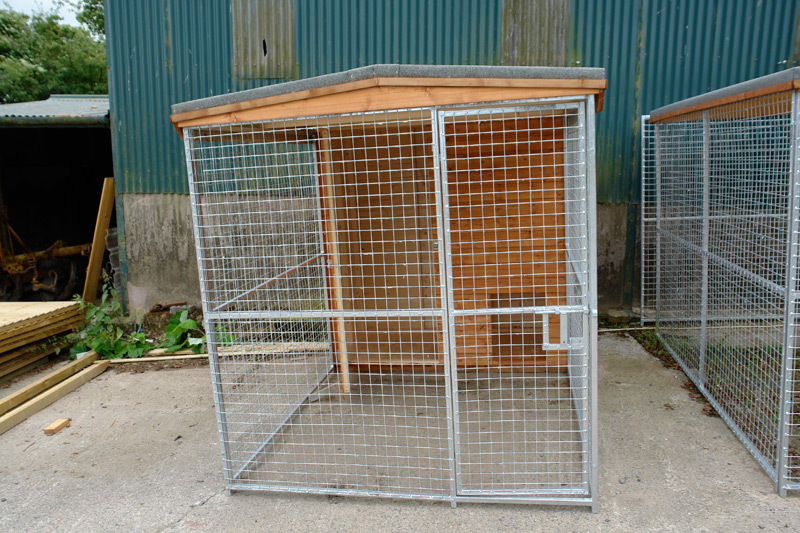 All of our dog kennels are available for delivery and erection or can be collected on-site. Contact us to find out more.